Should Idaho Accept the Gift of Technology for 4-year-olds? This past week, Superintendent Ybarra brought together education leaders to unveil a proposal that would bring a free technology program to Idaho for all 4-year-olds. The program, called SmartyAnts, was presented as a free product that would provide every 4-year-old in Idaho "early childhood education." As the executive director of Idaho AEYC, I was invited to the presentation and was able to hear first-hand about the program. Following the presentation, I had the opportunity to speak to Idaho Ed News and share my thoughts. I encourage you to read the article here. Idaho AEYC would like to remind our members that as your professional association, we are committed to advocating for high-quality, developmentally appropriate early childhood education. We are not interested in supporting a computer based, technology program as Idaho's only solution to early learning. We would also like to share with you messaging, resources and NAEYC's position statement on Technology and Interactive Media as Tools in Early Childhood Programs Serving Children from Birth to Age 8. We encourage you to share your thoughts on the use of screen time for our youngest children and the use of technology as the only solution to early childhood education. We are currently collecting comments that we will share on behalf of our members. In addition, we will be hosting a conference call on Thursday, Dec. 7th at 12:00 noon (MST) with Idaho AEYC members who are interested to discuss an action plan to move forward. Please mark your calendars and will will send out call-in information Monday. As Idaho AEYC can and will continue to be a voice for you and high quality early childhood education, we also recognize that many of you, as experts in the field need to speak out. We will do everything we can to create opportunities for you to do so. As always, feel free to contact me at any time. Thank you for all you do for our youngest children and their families! 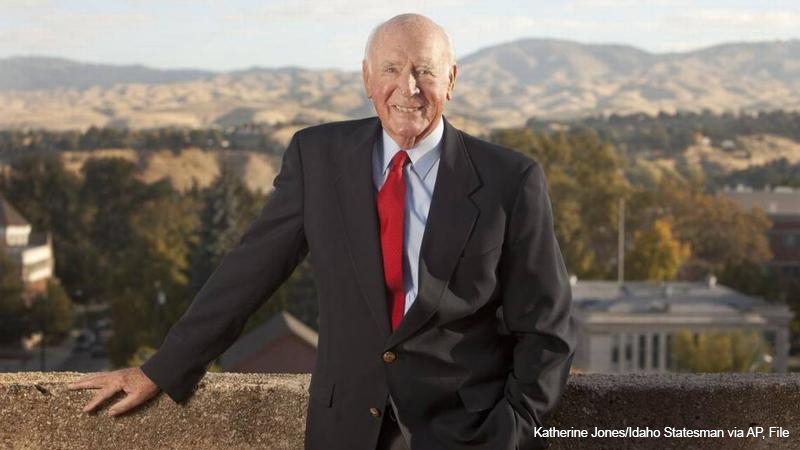 Last week, Idaho lost one of its biggest champions of Early Learning. Governor Cecil D. Andrus, Idaho’s only four-term governor, spent many years advocating and fighting for high-quality early learning. He established part-time, voluntary kindergarten during his tenure which he has been known to say was his “top achievement” as governor. I was fortunate to meet and get to know Gov. Andrus within my time here at Idaho AEYC. We had many conversations about how to move preschool here and he was always willing to speak out in support of state investments. In 2015, he offered to co-host a symposium called Early Learning in Idaho: Finding Common Ground. He brought together non-partisan partners which included Boise State University Andrus Center for Public Policy, University of Idaho’s McClure Center for Public Policy and various members from organizations and the business community across Idaho who were interested in discussing solutions for investments in high quality early learning. Idaho AEYC was fortunate to be at the table for the planning and participated in the symposium. It was a wonderful event that really helped set the stage for large scale discussions across the state. Because no one would ever think to say “no” to Governor Andrus, that is exactly what we will continue to do. We will keep fighting for high quality early learning opportunities for all young children in Idaho. I’m sad that we won’t have his big voice as we continue down this path, but we will certainly have his spirit to help guide us towards success. This Thursday, March 30, please raise yours by joining NAEYC, Child Care Aware of America, CLASP, NAFCC, NBCDI, NWLC, YWCA and ZERO TO THREE for a national call-in day for child care. Every member of Congress has the opportunity to make funding requests during the appropriations process. There is an upcoming deadline for these requests, and while we're all working hard to demonstrate the need for overall discretionary funding levels that allow for sufficient investments in critical programs for children and families, we are also having a call-in day to focus specifically and especially on child care. We hope you will join early childhood educators and advocates across the country in calling your Representatives on Thursday. You will ask them to ask the Appropriations Chairman to increase funding for the Child Care and Development Block Grant by $1.4 billion in the FY 2018 appropriations bill. Without this additional $1.4 billion, states will not be able to implement the important reforms contained in the CCDBG Act of 2014 while maintaining the current number of children served. Already, there has been a significant decline in the number of children served, with 373,100 fewer children receiving child care assistance in 2015 than in 2006. Congress needs to hear about the importance of funding a strong foundation for child care and early learning through CCDBG. Call 202-224-3121 for the Capitol Switchboard or find your representative here. Find the suggested script here. And don't forget - if you need a boost to help you make that call, check out how to call your reps (when you have social anxiety) and learn why calling is better than emailing. After a long winter, spring is just around the corner. Spring is the perfect time to reflect and revisit our goals, vision and purpose. As we move into spring, we at Idaho AEYC continue to work towards our vision that all young children thrive and learn in a society dedicated to ensuring they reach their full potential. Our goals to support high quality early learning, the profession, organizational advancement, organizational excellence and leadership and innovation are the driving force of what we do every day.